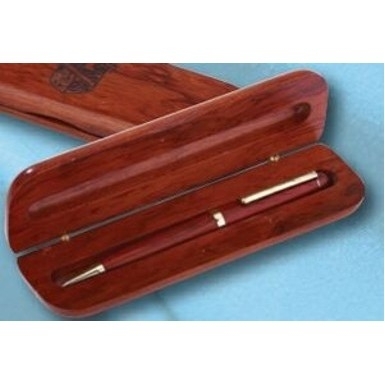 This Beautiful Rosewood Single Pen in a gift box, will be a a great gift for any executive or retiree. You can personalize the top of the wood box with a message or logo. Laser Engraving is included in the listed pricing on the box. There is a Fast turnaround on this product. Inquire for additional cost for the pen the to be engraved.